As a web design agency based in Newcastle, we’re proud to shout about the many events and perks of living in such a vibrant and diverse city. The Great Exhibition of the North was one such landmark event. Showcasing all that’s outstanding and extraordinary about the North of England, the unforgettable exhibition dominated headlines to make the summer of 2018 one to remember for Newcastle and Gateshead. The 80-day programme offered a jam packed itinerary that celebrated culture, character and creativity across 30 inspiring venues. Three months after the Great Exhibition of the North ended however, we are still feeling the love, so how has Newcastle and Gateshead changed as a result? 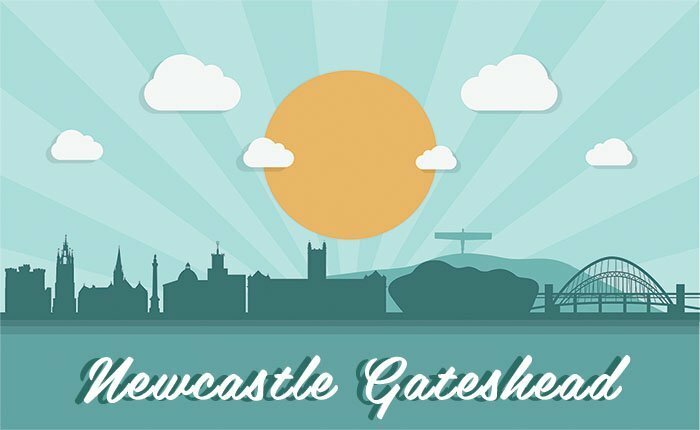 Newcastle and Gateshead welcome a bevy of visitors, who travel to these fair cities for a number of reasons. Newcastle was actually named the world’s number 1 destination to visit in the Rough Guide 2018, beating the likes of Cuba and New Orleans to take top spot. The aftermath of the Great Exhibition of the North however has given more people reason to pay both areas a visit. Both Newcastle and Gateshead have been visually changed by the Great Exhibition, with the latter’s Quayside still featuring the iconic shipping container bar and street food complex, By the River Brew Co, that was a great hit over the summer. The complex saw the transformation of a derelict part of Gateshead’s Quayside specifically for the festival, but due to popular demand, this bar and street food haunt has gone onto live for many more days. The pedestrianisation of various areas, including Newcastle’s Blackett Street, also remain to change the city streets for the better. With Newcastle and Gateshead now on the map for major events, the Great Exhibition of the North has opened up various opportunities to host other celebrations. It was recently announced that Newcastle will host the UK Pride March in 2019. The city will also host the European Rugby Challenge Cup and Challenge Cup finals following a successful bid. Many people – including the Great Exhibition of the North’s organisers, the NewcastleGateshead Initiative (NGI) – think that much of this recent success is down to the confidence instilled by the arts festival, proving the North East’s ability to host high profile events. It’s not just our events calendar that’s set to be jam packed due to the recent success of the Great Exhibition. Three quarters of schools across the region said they would use resources from the exhibition in lessons to ensure the legacy can be enjoyed in classrooms too. The Great Exhibition after all engaged the entire community, with its free events open and easily accessible to all, including economically disadvantaged families. The exhibition itself also featured work from disadvantaged sections of the region, including asylum seekers, adults with disabilities, and other talented individuals who have been overlooked by the mainstream art world. Only time will tell what other positives can be gained from the success of this year’s Great Exhibition of the North, and we personally hope that this isn’t the last Great Exhibition that the area hosts.